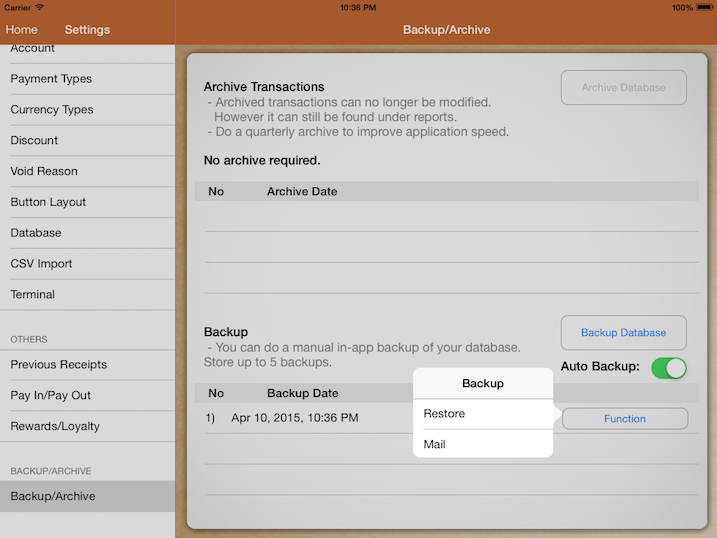 To email your backup, go under Backup/Archive, select the file you wish to backup. Click "mail" and send it to your email address. This will only backup sales & stock data, pictures are not included. If you did sign in your email account in the iPad "Email" app. 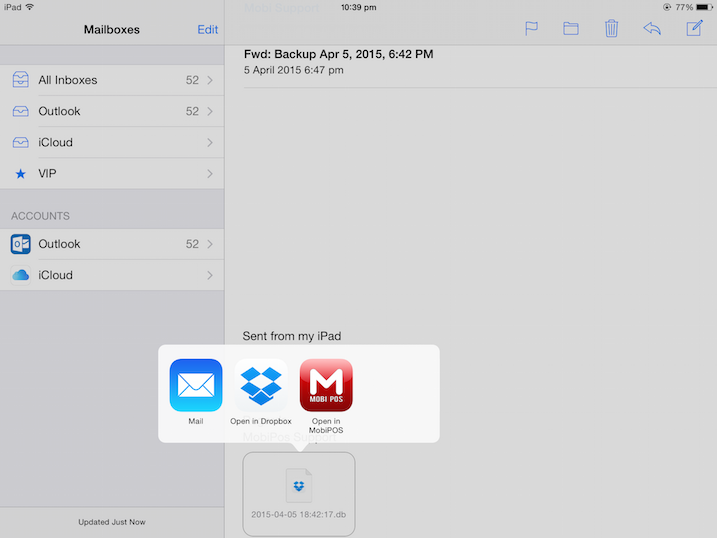 Retrieve the backup email you received, press and hold at the database file. Select "Open in MobiPOS". It will direct you to MobiPOS and prompt for confirmation.